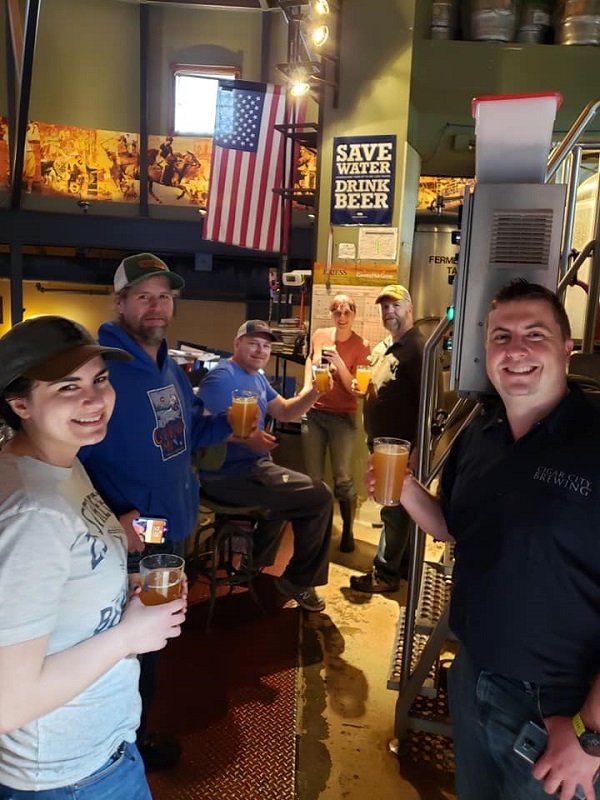 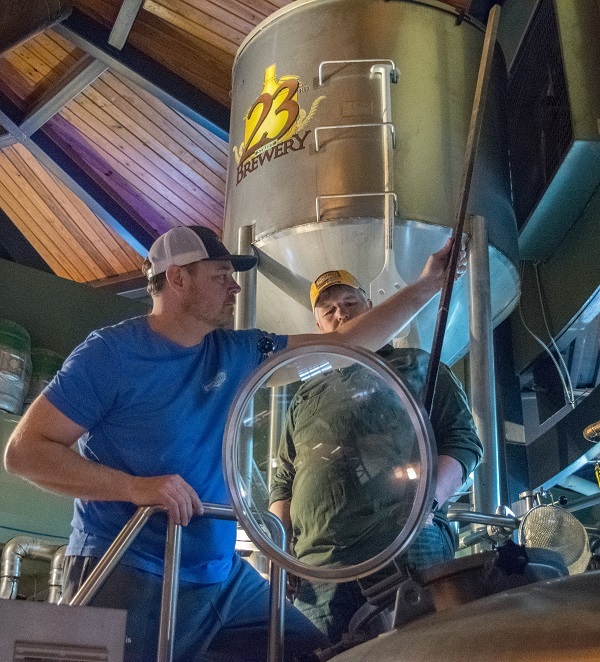 Members recently brewed the eighth LBG-23rd Street Brewery collaboration beer. 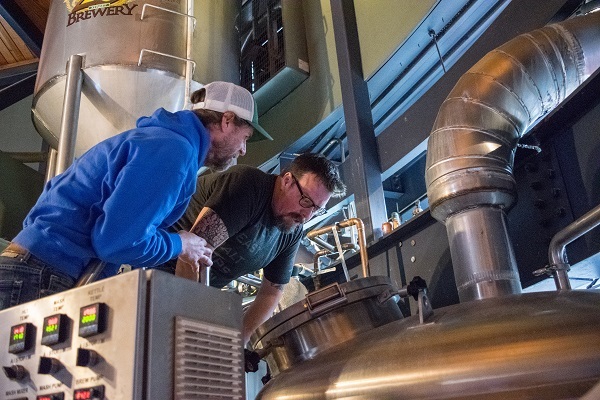 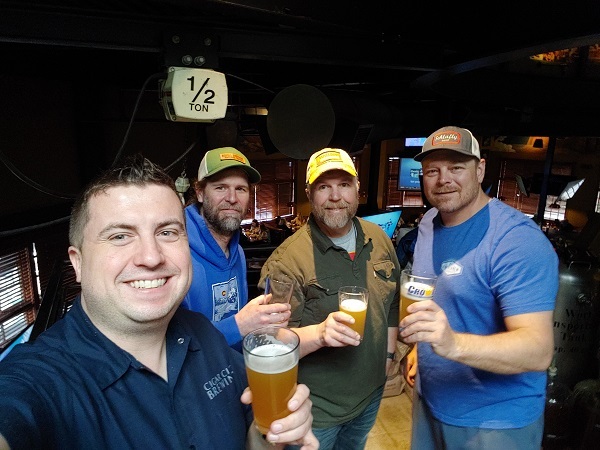 This year’s collaboration is a Norwegian hazy IPA with Kveik yeast and will go on tap in May. 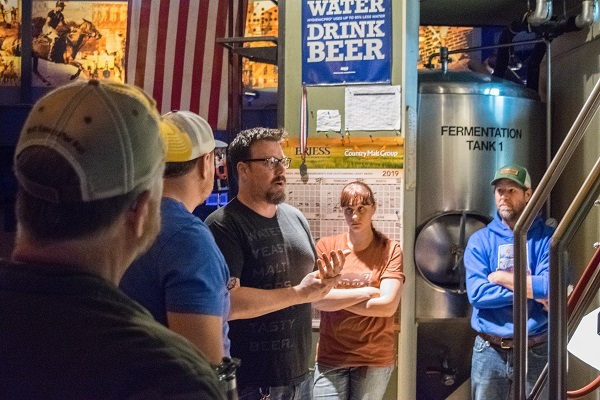 Members involved were Ryan Metcalf, Lynette Good, Jarrod Lynds, Nathan Young and Bruce Murrish. 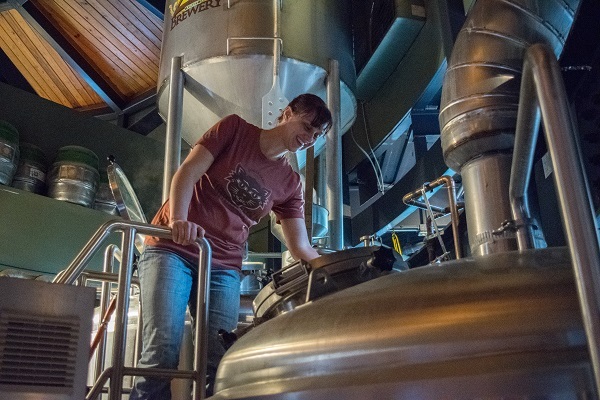 They were assisted by Head Brewer Tucker Craig and Assistant Brewer Victoria Gunderson.